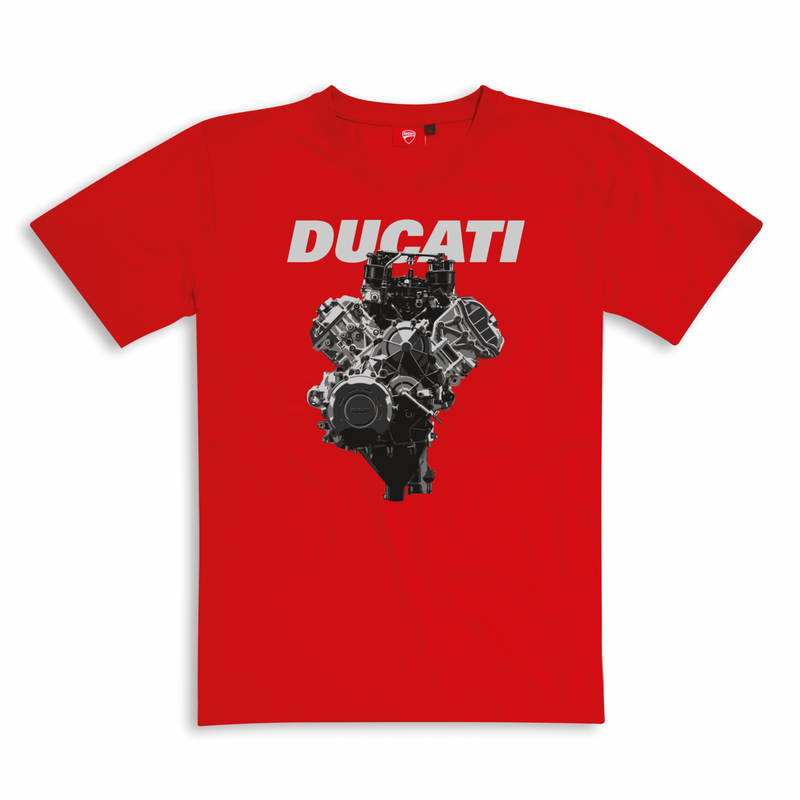 100% cotton Ducati red T-shirt, a declaration of pure passion for the legendary house of Borgo Panigale. Ducati prints and the V4 engine design dominate the front. A must-have for the most passionate Ducatista.